Guam is an island in the western Pacific Ocean. It is an unincorporated territory that belongs to the United States. It is the largest of the Mariana Islands. The climate in Guam is tropical. It is very hot and humid with very little season variation. Summer is the rainy season when many of the flowers come alive. Paper flower (Bougainvillea spectabilis) is the state flower of Guam. It is an evergreen, thorny plant that can grow to over 30 feet tall. The leaves of the plant are heart shaped and about 5 inches long. The flowers bloom in the spring in various colors, including pink, magenta, purple, orange and white. The paper flower is an ornamental hardy plant that can tolerate frost. It grows best in dry, fertile soil and full sunlight. The lotus (Nelumbo nucifera) is an aquatic perennial plant that prefers full sun. It is also called the Indian lotus or the bean of India. 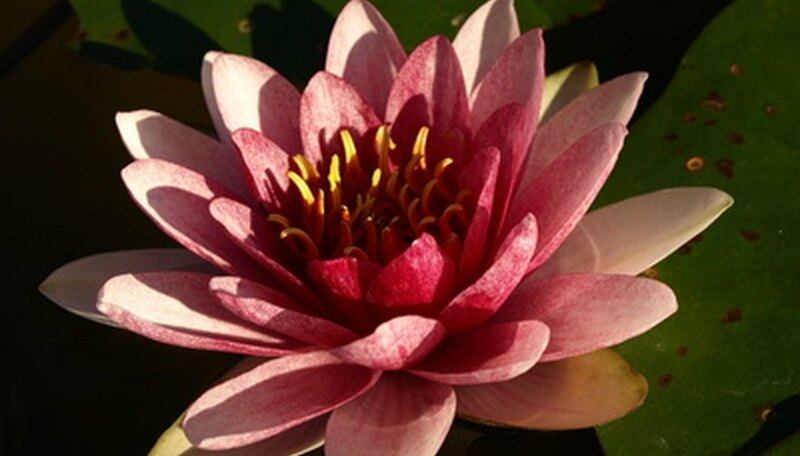 The lotus is often confused with the water lily. The lotus only blooms in spring and summer in shades of pink and white. It is intolerant of cold and prefers warm, sunny locations. The plant normally grows to 5 feet tall and 9 feet wide. The plumeria (Frangipani) flower is also referred to as the lei flower because it is frequently used to make Hawaiian leis. It is a perennial plant that can grow up to 40 feet tall and 20 feet wide. It prefers full sun and moist soils and is intolerant of cold temperatures. The flowers bloom from April to November. It is native to all the tropical areas of the world. The passion fruit (Passiflora edulis) is a woody, perennial vine that produces a sweet, edible fruit. The flowers bloom in the spring and have white petals and purple centers. Passion fruit vines can grow 20 to 30 feet a year and can live up to seven years. It prefers full sun and well-drained soils. The passion fruit plants are susceptible to many types of pests and must be treated with pesticides. It must be protected from frost and does not tolerate extremely high temperatures.